GUERLAIN KissKiss Lip lift is a smoothing lipstick primer for lip-perfection. Its silky texture glides onto lips, leaving them smoothed and plumped, and providing the perfect base for long-lasting lip colour. Lips are defined, contoured and have added volume thanks to the innovative formula which includes expanding micro beads. 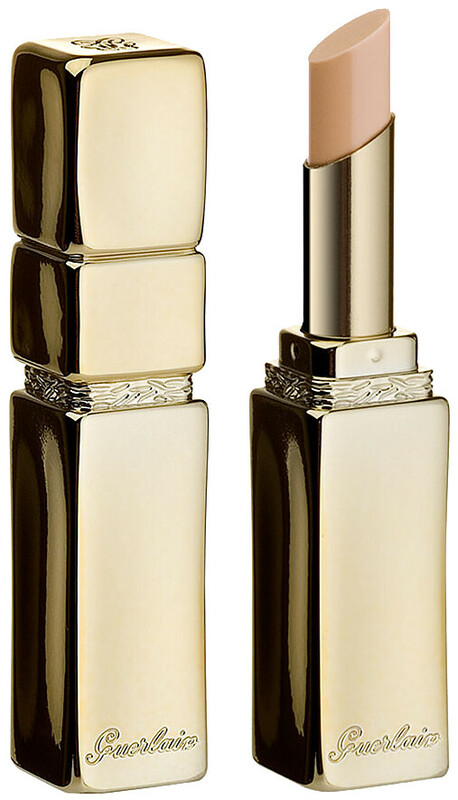 Improve the finish and hold of any lipstick with a bit of Guerlain know-how. GUERLAIN KISSKISS Liplift 1.85g is rated 4.8 out of 5 by 15. Rated 4 out of 5 by LH54 from Great base coat for your lipstick This is a great primer for my lipstick. My lips can be dry and look a little ragged, and I'm constantly applying By Terry Baume De Rose. For some reason a lot of lip balms bring me out in cold sores!! Anyway, my lipstick glides on beautifully when I use this and looks so smooth. Whenever I'm going out, I always use this primer. It just makes my lips look so much nicer. Rated 5 out of 5 by TheGenuineReviewer from So Happy! I am so happy with this product that I had to leave a review! Finally, a lip primer that actually works! It stops my lips from peeling/chapping and my lips still feel smooth and luscious even after a day of wearing Mac Rubywoo. My lips were going through a season so I tried so many other primers: Elizabeth Arden (okay), Mac Prep & Prime (Good) and Trish McEvoy (Rubbish) but this trumps them all. It's pricey but I will definitely be purchasing some more as spares.